Author: Bondar, Barbara Set In . . .
What is it like to live in outer space? On the Shuttle will take you on board! Barbara Bondar accompanied Discovery crew member and sister Dr. Roberta Bondar for several weeks during the training procedures prior to the IML-1 shuttle mission. With complete insider knowledge, On the Shuttle provides readers with a detailed look into the first International Microgravity Laboratory. 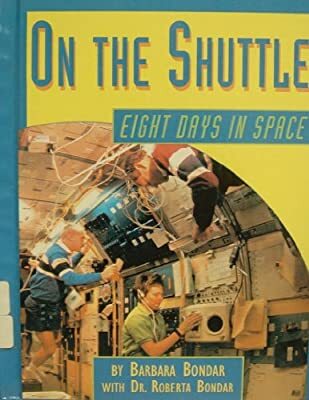 This book contains countless interesting facts--from detailed space shuttle components, to maintaining daily hygiene on board.